Boswellia (Boswellia serrata) is an Ayurvedic herb known for having potent anti-oxidant and anti-inflammatory effects. Boswellia serrata appears to be an effective treatment to colon related issues and various inflammatory conditions. 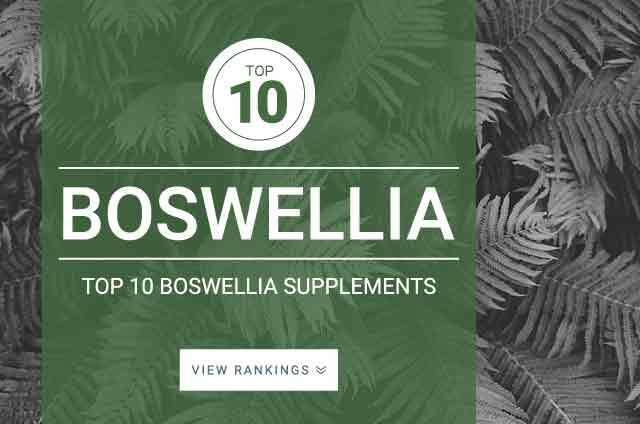 Onlinestrength analyzed 10 best-selling Boswellia serrata Supplements in the United States for Indian frankincense (boswellia serrata) extract (resin), boswellic acids, and presence/absence of preservatives, binders, filler, and GMO ingredients. Additionally, all products recorded at least a minimal effective dosage of Boswellia serrata per serving. Products that contained any fillers, heavy metals, GMO ingredients or preservatives were penalized. Boswellia also known commonly as Frankinsence is sourced organically from the gum resin extracted found in the Boswellia serrata tree which you can find in the dry hills of India. Used for centuries in Ayurvedic medicine for its very powerful natural anti-inflammatory and anti-oxidant effects. The anti-inflammatory effects have been investigated for their benefits in treating a number of health aliments including osteoarthritis, Crohn’s disease, and other health issues that are directly correlated to inflammation such as ache, joint pain, and fungal infections. Anti-Inflammatory properties have been shown to help Crohn’s Disease and other gastrointestinal issues including fungal infections. Safely used to treat joint related issues such as osteoarthritis. Standard dosage: 150 mg – 250 mg of boswellia serrata extract containing at least 60% boswellic acids taken once daily. Looking for products that contain at least 60% boswellic acids as these are the extracts for most effectiveness.